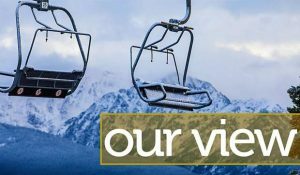 As you may have read Monday, Vail this week is hosting the Mountain Community Summit, a multiday get-together to talk about the challenges of — and possible solutions to — providing more workforce housing in mountain resorts. Vail was chosen as the host site in part because of the strides the town has made in the past couple of years. That includes adding more than 100 new, deed-restricted units of rental or for-sale housing. That’s a good head start on the Vail 2027 plan to add 1,000 deed restrictions to the town’s inventory. While Vail gets much of the attention, there’s also progress being made throughout the valley. Yes, housing right now is hard to find and expensive — and will probably remain expensive — but units are being built. Much of the conference is focused on finding capital, building public-private partnerships and more. But there will also be a focus on building relationships within and between communities. The “not here” syndrome isn’t unique to wealthier communities, either. In 2017 in Gypsum, opposition from neighbors forced a delay — and changes — in the approval process for Spring Creek Village, an ambitious rental and for-sale project. In Vail, there’s an almost-certain controversy bubbling over a parcel near the East Vail Interstate 70 interchange. In a valley with a large right-now housing shortage, residents, local governments and developers need to find ways to balance legitimate concerns about neighborhood character, wildlife and other factors with the equally legitimate need for housing. It’s unlikely that any magic-solution ideas will come from this week’s conference. On the other hand, the more we talk through these issues, the more likely we are to continue the progress that’s already been made.